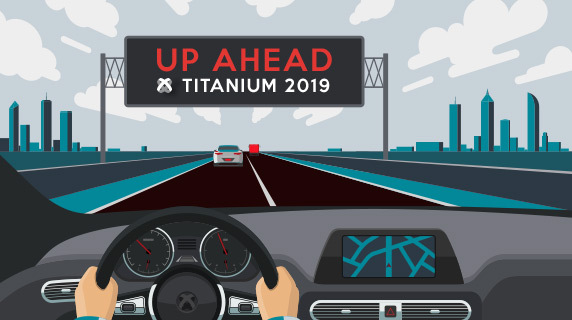 I am very excited to be able to kickoff my new role as Axway Developer Evangelism Lead by bringing you our 2019 roadmap for Titanium! After many years of developing with Titanium and other Axway products, it is an honor for me to be able to give mobile developers a glimpse into the future of products being built by our hard-working engineering teams! It’s a good year to be a Titanium Mobile Developer! NOTE: We are continually listening to the community for feedback on our products. This means that our goals can (and will) adapt to what you need and want to see in Titanium. That said, we do want to give you a snapshot of what we see developing in 2019! 2018 was a busy year for engineers working on our Titanium platform and 2019 will be no exception! Take a look at some of the things we have cooking for this year! LiveView gives Titanium developers the ability to see changes to their app without having to wait for the app to rebuild. New features are coming to LiveView that will enhance performance and expand compatibility with other aspects of Titanium. In 2018, we welcomed Vue and Angular to the family, and this year we will continue to mature these products and provide even more ways of creating native mobile apps with Titanium! Look for lots of changes as we use your feedback to improve our Titanium Developer Portal and the Titanium documentation! We aim to provide the best possible experience for developers using our sites! Last year, we released plugins and snippets for Atom and VS Code. Thanks to all who provided feedback. Stay tuned for more enhancements such as better integration with Alloy, more configuration options, and support for upcoming Titanium features! We will continue to offer support for new versions of iOS and Android, so you are able to continue to deliver the new and exciting OS features to your users right away! More live streaming, podcasting, blog posts, and videos! Stay tuned for more live streaming and live coding events that allow you to watch and interact with various Titanium experts in the community! We are also expanding our podcasts and videos to include more frequent episodes covering a wide variety of topics requested by members of the community. As always, our developer blog posts will cover the world of mobile development, but will now also include new articles from experts that will guide developers wanting to integrate their apps with all kinds of different cloud-based systems. Tutorials, boilerplate solutions, quick-start guides, and more! Be sure to continue giving us feedback of what you’d like to see and we will add it to our list! Best way to do that is to join the ongoing conversations happening on the free-to-join tiSlack channel! 2019 is going to be a sensational year for Titanium mobile developers and we look forward to seeing all the awesome apps created by each of you!